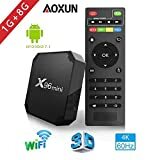 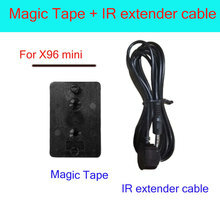 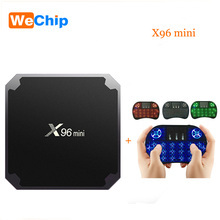 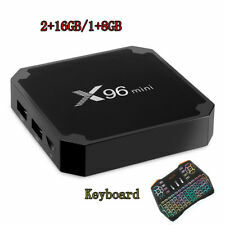 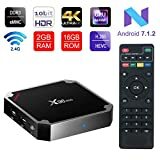 X96 Mini tv box is based on Android 7.1 OS, with high speed and smooth , supporting built-in applications such as YouTube, Netflix, Skype etc..
HDMI 2.0 Connector: you can go directly to let your TV and X96 TV Box are connected through an HDMI cable and set up your home cinema for the best 4K x 2K Full HD multimedia experience.. 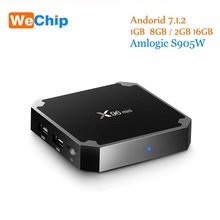 Wide application: It integrated the latest media player software, with full functions of the multimedia entertainment，Support the vast majority of Android APP. hardware decoding can save 50% bandwidth resources, let you watch the 4K movie smoothly..
DDR3 2GB RAM and EMMC 16GB ROM allows higher speed to browse website, play games, run APPs, watch movie smoothly and gives more space to download APPs, movie, music, game, etc. 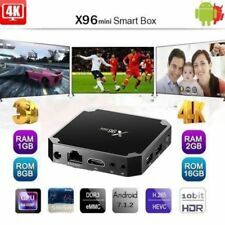 Awesome home theater and gaming experiences..